But UK is not only London – actually without venturing out of the capital to explore countryside, nature, coastal areas, historical monuments, old castles…. you will not grasp the true taste of the United Kingdom. Of course there is a big “But” regarding UK – if you forgot, the left-side driving will make you think few times before taking decision to hit island’s roads. And I do not blame you – for an “Average American”, just the thought of driving on the left may cause the similar feelings like becoming a “leftist”. But let me assure you – none of mentioned scenarios is as bad as you would think. If you do not get killed on the streets (roads) in the first three days, than you will certainly survive your vacations in UK regardless of how long you decide to stay there. Actually driving outside of the city on motorways and country roads is much easier than walking in London (we look left when crossing street, and then “danger” is coming from the right). The bottom line is - it’s not as difficult as you think, so start making your plans for a road Odyssey in United Kingdom. And if you decide to do so, then the best choice will be to rent (lease, buy) a camper and “carry” with you your new mobile home. In this way whenever you go you still feel like home. Given the fact that prices of gas are by far exceeding your imagination, you should certainly look for an economic, fuel efficient camper – one of these modern lightweight ones. Do not be confused if at the pump you find a similar price as in US – it will be price for a liter of gasoline, not the gallon! Armed with these remarks, let’s see “who is who” – in other words short presentation of manufacturers of lite-weight campers and travel trailers in United Kingdom. It all started in 1947, when Martin Bailey built the first travel trailer in his garage. Encouraged by results of his work, he quickly moved with his business plan forming the travel trailer (caravan) company F.G.Bailey Ltd. and rolling out its first production model – Bailey Maestro. Maestro made Bailey the first British company manufacturing campers. In 1977 company changed ownership after being purchased by Patrick and Stephen Howard. 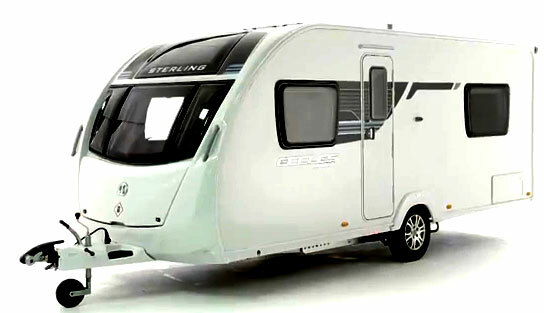 Under the name Bailey Caravans Ltd. Company stays in the hands of Howard’s family till these days. For almost 60 years Bailey is known as manufacturer of travel trailers. But what really put them in the leading position in this business was the “vision” that materialized in 1996 when the Bailey Ranger trailer was lunched. It was the first travel trailer designed with the goal to make it not only comfortable but also truly lightweight and affordable. 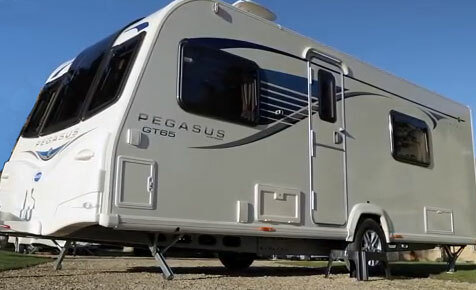 Bailey currently offers three families of travel trailers (caravans) including Pursuit, Pegasus GT65 and Unicorn. Bailay Pegasus GT65 - it's lightweight and thanks to panoramic windows interior has a lot of light! Only very recently (in 2011) Bailey entered the market of motorhomes introducing the model Approach SE (in two versions – correspondingly Autograph and Compact). They represent Class B+ vehicles (more spacy and better equipped than traditional camper-vans). Making travel trailers and motorhome “Lightweight” is part of Bailey’s philosophy. They lunched and follow the program Environmental Awareness. As the result of these priorities Bailey’s engineers put a lot of effort to design campers with reduced weight, improved aerodynamics and whenever possible using recyclable materials (company claims that currently their campers are 75% recyclable). Shells of all travel trailers and motorhomes are built using the newest Alu-Tech technology. That makes them light, sturdy and resistant to weather elements. Bailey is selling its products across Europe, but they also have strong presence in Australia and New Zealand. Coachman Caravans located in Hull (UK) were founded in 1986 by Jim Hibbs and George Kempt. Both, before launching their new business were directors at ABI - another British company manufacturing leisure vehicles (recently only Holiday Homes). They left ABI and decided to pursuit their own visions of managing, designing and manufacturing travel trailers. Having in mind the economic boom of 80’s and quickly growing wealth of British society, they decided to focus on luxury market. No wonder, when in 1998 they rolled out the first model of caravan they chose the name VIP (that tells you all)! The VIP model (BTW- its “rejuvenated” version is still in production) was characterized not only by its soft, elegant lines, but also by “tons” of specials that made it very “attractive” for always “demanding” upper class of buyers. In 1997 the Coachman Caravans was sold to Explorer Group, but Jim Hibbs couldn’t stay for long on the sidelines and re-acquired his former business in 2001. Today Coachman Caravans offers four series of travel trailers – each with multiple floor-plans. These are – the newest model Vision (8 floor-plans), highly ranking Pastiche (6 floor-plans), mentioned already luxurious VIP (5 floor-plans) and not surprisingly the model addressing “super-luxury” needs – Laser (2 floor-plans). Given the high quality of products, Coachman Caravans offers 5 years warranty on all their models. 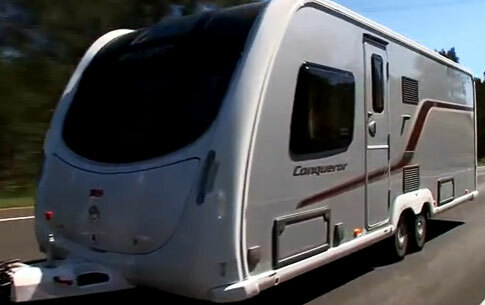 Coachman Caravans travel trailers are certainly not belonging to the class of lightweight models. Luxury not only costs more but also is “heavier”. Although the company makes efforts to shave-off extra kilograms, there is still “physics” to deal with…. Brian Talbot and Ken Wilcock founded the company in 1969 – during the highs of Apollo Moon expeditions. From the beginning they targeted similar goals of “impossible” – luxury of travel with affordability which later, in times of “eco-friendliness” translated to “lightweight” designs. Not surprisingly, one of their first models of travel trailers was named Lunar Saturn. The company “survived” its success; after being sold to European manufacturer in 90’s, it was re-acquired by founders in 2007. It was an example of attachment to founders’ core values to maintain and promote ambitious goals they set for themselves in late 60’s. Ariva/Quasar (sleeping from 2 to 6 persons), Stellar/Lexon (sleeping 2 to 4 persons), luxury Clubman/Delta trailers and top-end model Clubman-Saros. They all come with several floor-plans offering customers large choice of 21 models. Stylish exteriors, luxurious interiors with every detail “tuned” to provide better than “home-like” ambiance (lights, furnishing and warmness of decorations) creating relaxing atmosphere. Just recently the Caravan Club awarded Lunar with recognition for their small and lightweight travel trailers. Swift Group was founded in 1964 and is based in Yorkshire (UK). The name “Group” reflects the fact that throughout the years of operation, the company acquired several businesses making caravans and motor-homes. They started with modest brand of Swift travel trailers. Now, through acquisitions, the company is a multi-brand conglomerate encompassing such renowned brands as Sterling, Sprite, Bessacarr, Escape and Autocruise. Recently they launched also their purely own initiative – building “holiday homes”. In 2010 Swift Group started another initiative – a dedicated social media site Swift Talk. This is a place where owners of their caravans and motorhomes as well as potential buyers can not only exchange their experiences, but where you can get professional advices and answers from company’s professional staff. Swift Group under few brand names manufactures also B+ class motorhomes. The offer includes models of Swift (Esprit, Bolero and Kon-Tiki), Bessacarr (series 400 & 500), Escape and Autocruise. Each of them is available in several floor-plans (or layouts as Europeans prefer to say).